I've never been a fan of Sam Beam's Iron & Wine. In the past I've found his work to be monotonous, and quite frankly boring. It's with that prejudice that I brought to his forthcoming album Kiss Each Other Clean (out January 25th). 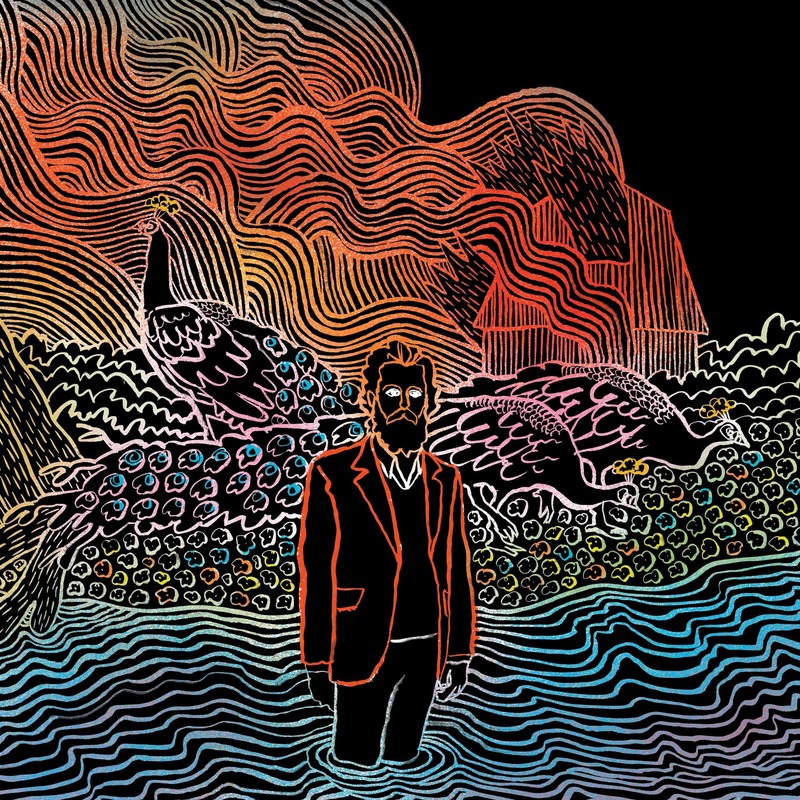 I have to admit, from the fuzzed out opening of "Walking Far From Home" my perspective of Iron & Wine began to change. This is a far more dynamic record than I've heard from them before. The layers are deeper and the sound is far more full and varied. All of which are very good things. Horns and hooks are prominent on "Me and Lazarus" and the jazzy saxophone on "Big Burned Hand" add a remarkable texture to the songs. The occasional glockenspiel and groove contribute as well, but the biggest leap forward are the perfectly placed backing vocals that make "Half Moon" both hypnotic and endearing. There's an entirely new feel to the album. The melodramatic self-pity has been replaced, for the most part, with a new playfulness best heard on a track like "Rabbit Will Run". The album closer, "Your Fake Name Is Good Enough For Me", caps it all off nicely with it's surprising '70s cop show vibe. In the end I have to pay Kiss Each Other Clean does what a truly great album should: it makes me re-evaluate my entire opinion of Iron & Wine. Best tracks: "Half Moon", "Big Burned Hand"